The holiday season may be “the most wonderful time of the year” for many, but that doesn’t mean it doesn’t come without its fair share of stress. With a holiday to-do-list quite possible longer than Santa’s naughty and nice list, the amount of decorating, shopping, traveling, and spending may have your feeling more frazzled than festive. You know who else is feeling the pressure? Your home. Normal wear and tear is one thing, but the holidays tend to put your residence through the paces. Below are a few of the ways that your property may be crying out for help. By tending to its seasonal woes now, you may save yourself money, time, and more stress in the future. Decorations: Decking the halls may be a pretty way to set the mood, but if not done with caution, you could be setting yourself up for needed repairs. Always use outdoor lights outside, replacing or repairing wires with frays or loose connections before hanging. If using extension cords, makes sure they are Underwriters Laboratories (UL) rated, and keep them away from areas where puddled water or moisture can form. When hanging lights, garlands, and other decor, avoid nails, staples, and other damaging materials for mounting. Instead, use mounting clips, which will help keep your decorations in place without creating weaknesses that can allow moisture and cold air to creep into your home. Visitors: The “more the merrier” doesn’t always apply well to your personal space. While having lots of guests over to celebrate together won’t literally have your home bursting at the seams, the extra foot traffic can wreak some havoc. Keep your guests and home safe from harm by clearing your home of clutter and rearranging furniture if needed to make for may space. Make sure loose cords are tucked away or tacked down to avoid tripping and bringing entertainment systems and lighting crashing to the ground. If children will be in tow, childproof the space by covering outlets and table corners, as well as putting away breakables and blocking off rooms that might not be safe for little busy bodies. Energy: The holidays may have you running low on energy, but your house is running high thanks to extra lights on for longer, appliances needing to keep up with extra cooking and baking, more hot water needed for guest showers, and the furnace pumping out more heat during the cold winter months. To help, use timers for your lights so that they aren’t on for longer than needed. And replace old water heaters, furnaces, and appliances with more efficient versions. If you haven’t already, have your current furnaced serviced to make sure it work its best. 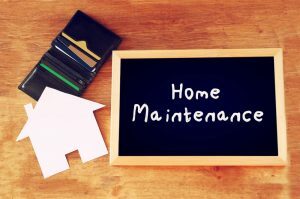 Maintenance: If the season has you busier than an elf in Santa’s workshop, it’s possible that routine home maintenance has fallen to the wayside. To avoid bigger problems in the new year, don’t forget to replace furnace filters, disconnect exterior hoses, shut off outdoor water valves, insulate home water pipes, add weather stripping where needed, and reverse direction of ceiling fans. It may be more to do now, but it will likely save you from being stressed out once the holidays are over. This holiday season if you find your home in need of water and sewage damage, fire and smoke damage cleanup, mold removal, roofing, siding, and remodeling services, call McMahon Services and Construction. We offer FREE inspections and estimates to residential and commercial customers in our Chicago, Arlington Heights, Berwyn, Des Plaines, Evanston, Mount Prospect, Grayslake, Mundelein, Libertyville, Oak Park, Palatine, Wheaton, Naperville, Waukegan, Schaumburg, Skokie, and surrounding IL service areas. McMahon Services and Construction is proud to hold a “Preferred Contractor” status by many Insurance Industry Leaders. Posted in Air Duct Cleaning, Construction, HVAC, McMahon Services & Construction, Posts, Water Damage Restoration.